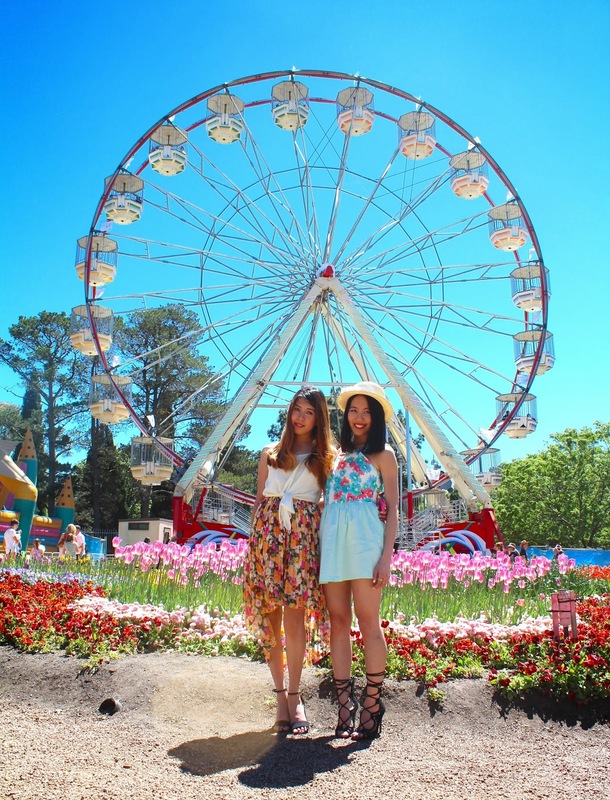 A few weeks back we decided to go to Floriade because what girl doesn't love flowers? But with our busy schedules it was hard to organise an earlier time to go so we could only go on the last day when the flowers were already dying :( We drove up bright and early so we could get there by midday (It's a 3 hour drive from Sydney) and we were amazed at how quiet Canberra was! The streets were pretty much empty which is very different from the busy streets of Sydney. There were a lot of people inside the garden though so that's probably where everyone was haha. The garden itself is pretty big with many sections of flowers. We enjoyed ourselves taking snaps here and there and also cooled ourselves from the 35 degree heat with some great ice-cream and ice tea. The ferries wheel also made the whole scenery that much more romantic! With such a lovely background how can anyone resist taking some OOTD pictures! 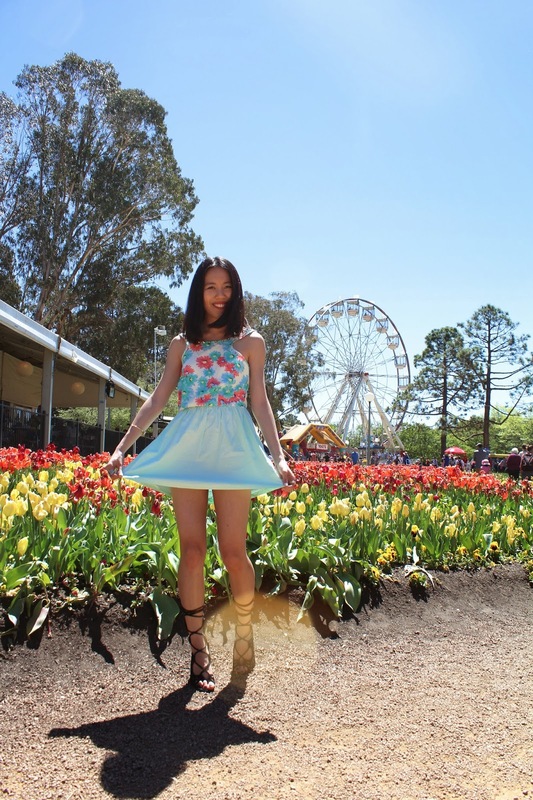 And yes we are wearing heels at the Floriade garden because we are serious about our outfit photos. What outfit looks good without heels? Correct? We continued to take pictures despite all the "judging" eyes looking at us when we changed into our heels. At least it got people staring which is what fashion is all about! hey Brigette & Michelle I've recently stumbled across your blog and the pictures are incredibly amazing! and I've followed you guys and I hope you guys could follow us back too ! Love it girls, beautiful pictures.